It was just a short 100 years ago that women couldn't wear pants -- at least, not without causing a scandal. Now, women can not only wear whatever they want, they can have whatever job they want, too. But if you're going to do those tough jobs that used to belong o ... (see full details) (see specifications) #RBKRB894. It was just a short 100 years ago that women couldn't wear pants -- at least, not without causing a scandal. Now, women can not only wear whatever they want, they can have whatever job they want, too. But if you're going to do those tough jobs that used to belong only to men, you're going to need Reebok Women's Tan RB894 Rapid Response EH Composite Toe Military Boots. These tough military boots are built to protect your feet and keep you comfortable no matter what mission you have. These 8-inch, desert tan boots aren't just made in a military style -- they actually walk the walk. The uppers are crafted from abrasion-resisting Cordura nylon panels that promote air flow and cooling breathability. Soft suede leather flexes and stretches comfortably around your feet which makes these Reebok boots the perfect choice. Use the side zippers to get your feet in and out of these tactical boots any time you're in a hurry. You may not even want to take these Reebok Stealth Swat boots off because of the soft lining that you will find inside. It's a combination of lightweight, moisture-wicking Tailex and Cambrelle. Both materials are thin but tough. The fabric is also breathable, to keep feet ventilated and less sweaty. The cushioning inserts in these composite toe boots have been molded to support your steps. Made with a two-layer, dual-density construction, the inserts are built with shock-resistant polyurethane. The material absorbs even more force and impact than rubber, but weighs less, perfect for non-metallic boots. Plus, the inserts are removable, so you can slide them right out for cleaning. The outsoles of these safety toe military boots are made with dual-density construction. They are also slip-, oil- and chemical-resistant. Soft, lightweight EVA foam midsoles and a mountain trail bottoms come together to give you cushioning support you need to stay on your feet for long hours. Shock eliminator heel plugs eliminate stepping and standing shock, absorbing force to prevent foot pain. The multiple-layer design of these women's tactical boots means force has to travel through rubber, foam and polyurethane before it can begin impacting your feet and joints. That’s a long way for pain to go. These Reebok Tan RB894 Rapid Response EH Composite Toe Women's Boots are made with precision detail and military style. Your feet work as hard as any man’s, so shouldn't you have to the same kind of tough protection and soft comfort? 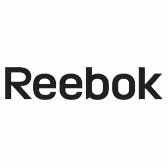 Reebok thinks so, and we do, too. If you liked the Converse C894, you will love these Reebok RB894 boots. THESE BOOTS ARE ABSOLUTELY AMAZING, THE COMFORT AND QUALITY ARE BEYOND 5 STAR RATING. THE INSERTS THAT COME WITH THESE BOOTS ARE SO DARN COMFORTABLE. GONE ARE THE DAYS OF MY SORE FEET AND BACK FROM WORKING ON CONCRETE FLOORS 10 HRS A DAY, THESE BOOTS REALLY DO ABSORB THE SHOCK THROUGH THE HEELS WHICH IN RETURN MAKES LIFE EASIER IR THOSE WORKING AROUND ME, I'M ALOT MORE PLEASANT FROM NOT BEING IN SO MUCH PAIN!!! I returned these boots because they were a bit clunky for my purposes. I was in the military for 21 years so I went back to my old retired tried and true desert boots for my brief safety footwear needs. Not sure they would work well in the military environment as they seem pretty heavy for any significant walking. The boots seemed to be well made and appeared as described on the website. They would likely be okay for someone just needing safety footwear, ankle support, and not a lot of walking. I must say I was impressed with the rapid delivery and ease of return. Would DEFINITELY return to the website in the future. These Reebok boots are great at first. But the outer sole gets slippery overtime. I had to stop wearing them eventually after 2 years. These really served me well. I have no complains with regards to comfort. I'd still recommend them any day! Reebok Boots: Women's Tan RB894 Rapid Response EH Composite Toe Military Boots is being added to your cart.